Create miniature scenes with Delica beads. This book teaches how to make flexible amulet purses using the brick stitch. Two other weaving techniques are introduced, the herringbone and right angle weave. 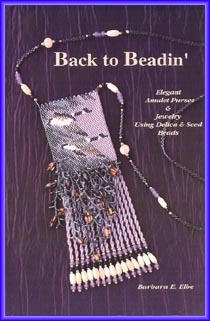 There is a section on how to create turn-of-the-century crocheted necklaces, bracelets and key chains. Also learn the daisy chain stitch.